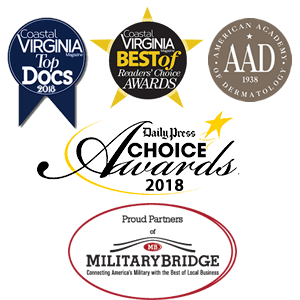 We are pleased to offer Microneedling Collagen Induction Therapy. The SkinPen uses a sterile needle-tip containing 12 tiny micro-needles to create controlled micro-injuries to the skin. This initiates the skin’s repair process to naturally produce collagen and elastin, ideal for smoothing fine lines, wrinkles, acne scars, traumatic scars, and stretch marks. 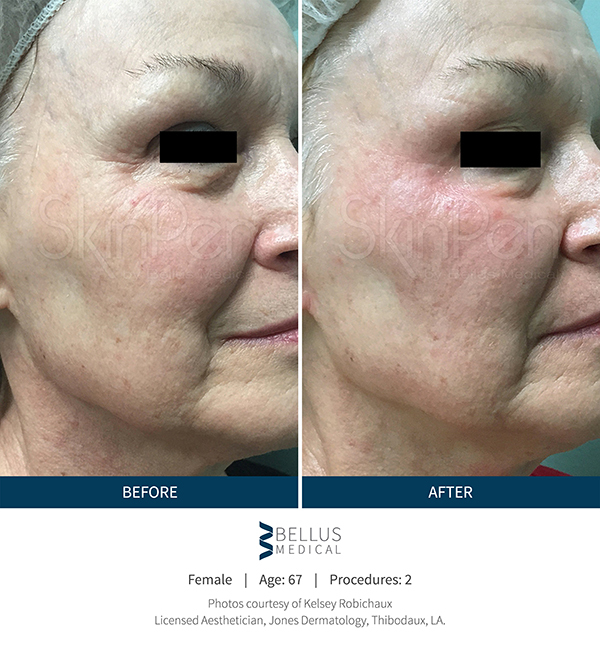 Micro-channels created by the treatment allow for optimal absorption of topical products and platelet rich plasma (PRP), enhancing their effects in the inner layers of skin. Microneedling can be used on all areas of the scalp, face, and body including fragile skin around the eyes, mouth, and neck. 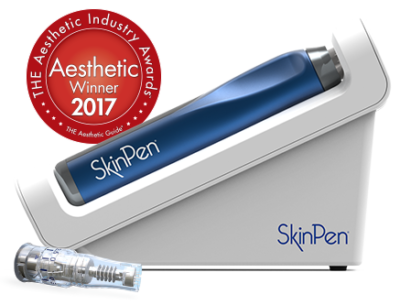 SkinPen® Precision is the ONLY Class II, FDA Cleared Microneedling Device. Topical numbing will be applied prior to your procedure, but no injectable anesthesia or oral medications are necessary. Microneedling feels similar to sandpaper being moved across the skin. This procedure takes approximately 30-45 minutes. What can I expect after a Microneedling procedure? The skin will be flushed, similar to a mild to moderate sunburn, for 12hrs to 3 days. You may also experience mild swelling, dryness, and tightness. Side effects are temporary and typically resolve within 3 days. Total healing time depends on the depth of the treatment, skin type, and skin condition. Some patients may heal completely in 24 hrs. A hyaluronic acid or Vitamin C serum will be used after the treatment to heal and protect the skin with a zinc based sunblock. A mineral makeup is recommended for use after the procedure. What I should avoid on my skin after treatment? To ensure the most ideal healing environment, do not use AHA’S (Glycolic Acid), retinols, Vitamin C Serums or any alcohol-based toners for 2-3 days after your procedure. Patients typically notice an immediate glow, but visible improvement will take about 2-4 weeks and can continue for up to 6 months. 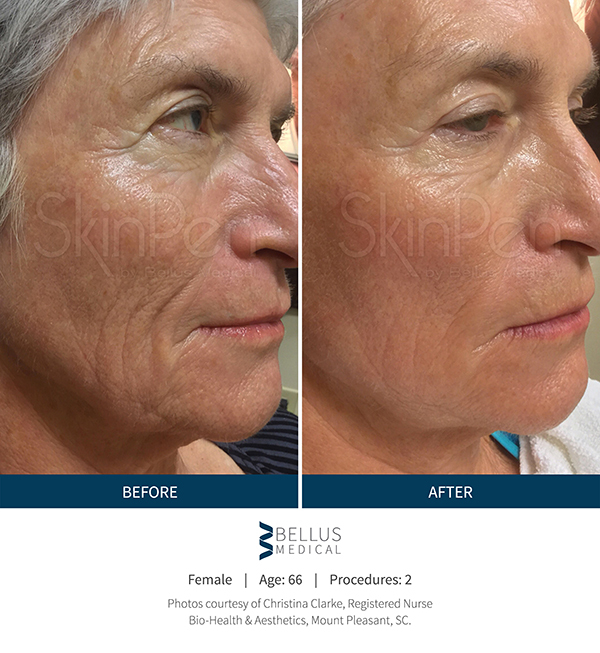 A series of 3 treatments spaced 4-6 weeks apart is ideal for optimal results. Deep wrinkles, advanced photo-aging, stretch marks and acne scars will need a minimum of 6-8 treatments. Am I a candidate for the Medical Microneedling? 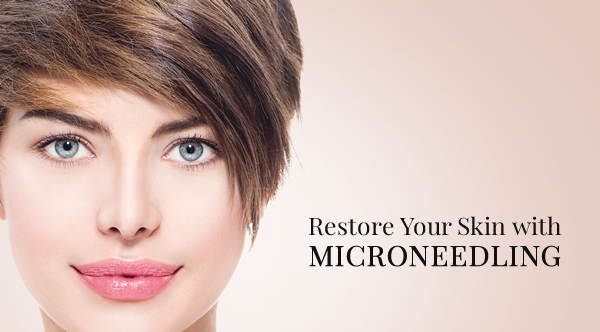 Medical microneedling can be safely performed on all skin types and all skin colors. There is minimal risk of pigment change or post inflammatory hyperpigmentation. Skin microneedling can treat sensitive and fragile areas that are difficult to treat with other procedures. These areas include the scalp, eyes, neck and the back of the hands. This is assessed during your consultation. A treatment plan is designed for each client and the cost will be discussed at that time. Where else can I read about Microneedling? Read this article Wall Street Journal article about Microneedling.